Owning a home is one of the greatest things you can do in your life. Its also your biggest investment, you won't buy anything bigger. This is where you will spend more time than anyplace else. This is where you will have family over, entertain your friends, raise your children, basically enjoy your life. When you buy a new house you want to give it your own personal touch. You want to make it your own. The previous owners don't have the same taste you have so what can you do? 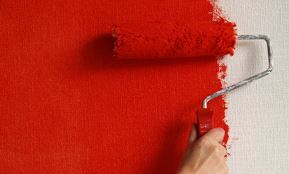 Painting is one of the simplest things you can do to totally change the look and feel of your house. So now that you own your home but you just don't have the time to paint, whether its because of spending a lot of time at work or your family life is extremely busy. So what can you do? You contact the nice people at Michiana Paint. Michiana Paint covers the entire Mishawaka, IN area. Michiana Paint has the very best professionals in the area. They come into your home and sit down with you to make sure you're getting the best possible deal you can get. ​They know that strangers coming into your home can be a hassle to your everyday life so they make sure they get the job done right the first time. Michiana Paint contractors know that your time is valuable and you want the job done quickly so you can back to your life. Michiana Paint is the right team for you home. But wait a minute what if you just bought a new business and you want to make it your own. What if the building is still painted the previous business' colors? Michiana Paint can do commercial as well as residential. They can help in anyway you need. Michiana Paint contractors can do amazing things in commercial painting in the Mishawaka area. They know that when it comes to your business that your time is your money. They not only want to get the job done on time but under budget. They know that the longer the job takes the more money you're spending. Michiana Paint contractors can see what your company needs and will get the best bang for your buck. Michiana Paint knows it doesn't matter if the job is only one room or the entire exterior of your business. They know that you want to make your customer happy. Getting the right colors in your office is critical to making your business run right. When a potential customer comes into your business they know by the feel of your business if they are going to spend money with you. So getting the right color, the right feel is vital. So no matter where you live in Mishawaka, whether its commercial or residential, a small room or a big building. you need to contact Michiana Paint for all your painting needs. Michiana Paint is the best painting service in the Mishawaka, IN are.